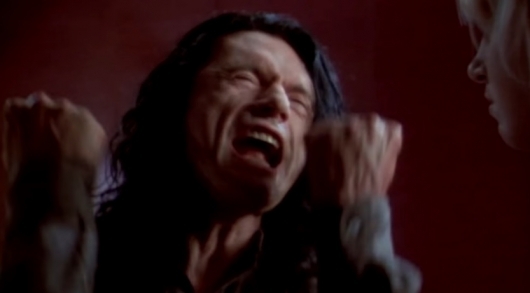 Writer, director, producer, and star Tommy Wiseau has developed a hell of a reputation thanks to his 2003 feature The Room, widely considered to be the worst movie ever made. This reputation was enhanced by The Disaster Artist, James Franco’s 2017 movie about the making of The Room which did the complete opposite and landed itself an Oscar nomination. Wiseau has done this and that over the years since The Room, including re-uniting with his Room co-star Greg Sestero for a movie titled Best F(r)iends. But what he hasn’t done is direct another feature. Now he aims to change that. While doing a screening of The Room at the Prince Charles Theatre in London, Wiseau unveiled his next directorial endeavor: Big Shark. As you may have guessed, it’s about a large shark. You can find more information and a not-so-high-quality peek at the teaser video Wiseau shared below. Fifteen years ago, a cult classic of epic proportions was born. 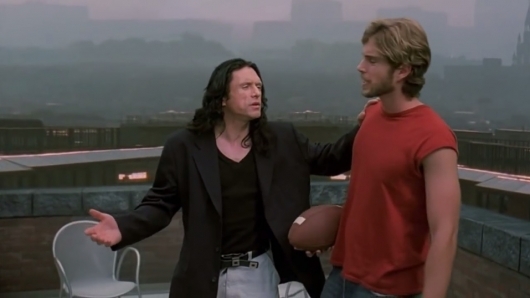 Tommy Wiseau wrote, directed, produced, and starred in The Room, a film that would earn the moniker of Best Bad Movie of all time. Thanks to his co-star and friend Greg Sestero’s 2013 memoir The Disaster Artist and the James Franco Oscar-nominated film of the same name, Wiseau and Sestero have enjoyed a career resurgence. Their on-screen reunion takes place in the new film saga Best F(r)iends, written by Sestero and directed by Justin MacGregor. Best F(r)iends will inevitably be compared to The Room due to Sestero and Wiseau’s involvement. However, as a film it is much better, with a cohesive plot, well-defined characters, and genuinely engaging interactions. It does feature some truly bizarre and original moments, and thanks to Wiseau’s off-beat acting style, there is a lot of humor, both intended and not. While I don’t think Best F(r)iends will garner the reputation and midnight-movie following of The Room, fans of the actors and that film will not be disappointed. Back in 2003, Tommy Wiseau’s name became one of legend, but not for the reasons he originally wanted. His film The Room, one which he wrote, produced, directed, and starred in, simultaneously became known as one of the worst films of all time by critics, but a cult classic to fans. In the 15 years since, Wiseau’s film has enjoyed a consistent presence in midnight showings across the country. 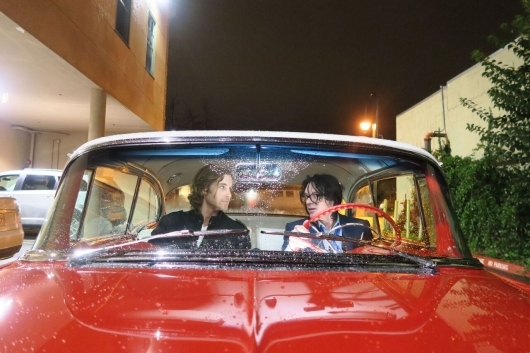 His friend Greg Sestero was his co-star in The Room and in 2013 Sestero wrote The Disaster Artist: My Life Inside The Room, the Greatest Bad Movie Ever Made with co-author Tom Bissell. That was then turned into an Oscar-nominated film directed and starring James Franco as Wiseau and his brother David Franco as Greg. 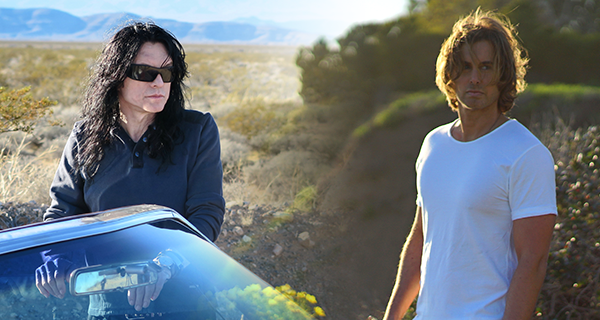 Fresh off a new generation getting to love and appreciate The Room, Wiseau and Sestero reunited for a project, written by Sestero and directed by Justin MacGregor called Best F(r)iends. Best F(r)iends is about a homeless loner (Sestero) who stumbles into a bizarre friendship/partnership with a mysterious mortician (Wiseau). I got to speak to both men about their upcoming film, their on screen reunion, and more. Read the whole interview here below. It looks like Joaquin Phoenix will be playing Batman villain the Joker in the upcoming origins movie being directed by Todd Phillips. One person we know won’t be taking on the role, should a deal with Phoenix not be worked out, is The Room writer, director, producer, and star Tommy Wiseau. But that doesn’t mean Wiseau doesn’t think he’s the man for the job. 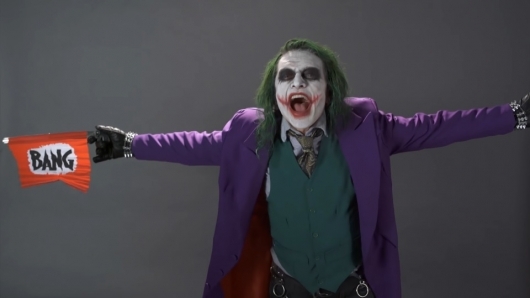 He’s tweeted about wanting to play Joker in the past, and now he’s made his very own audition tape to show how he’d do. He even got The Room co-star and The Disaster Artist author Greg Sestero to stand in as Batman for the video, which you can check out below. Since it was first released, writer/director/producer/star Tommy Wiseau‘s top contender for worst movie ever made, The Room, has slowly but surely collected an impressive cult following. To this day, midnight screenings are held all over, attracting the movie’s fans to experience it the best way possible. 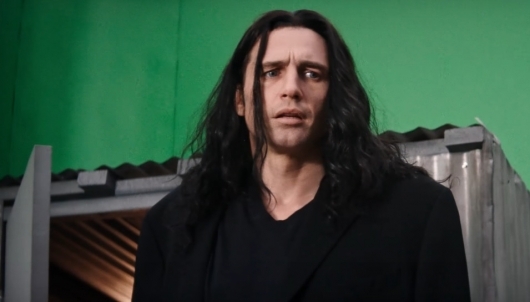 But due to a surge in popularity thanks to the recently released movie about the making of this best worst movie, The Disaster Artist, The Room is about to get a theatrical release no one who saw it when it first came out in 2003 would have ever believed it would one day get. Instead of the occasional midnight movie screening, it’s been announced that Wiseau’s disasterpiece will be getting a wide theatrical release in around 600 theaters all over the country. Continue below for details, links, and a trailer. You’d think that Screen Junkies and their Honest Trailers would have tackled a movie like Tommy Wiseau‘s unbelievably bad yet still extremely popular movie The Room by now. But for whatever reason or reasons, it hadn’t happened. Not until now, that is. With the movie about the making of this trainwreck, The Disaster Artist, releasing this week, Honest Trailers decided to finally do the inevitable and finally take on Wiseau’s disasterpiece of a cult classic. See how it went in the video below. 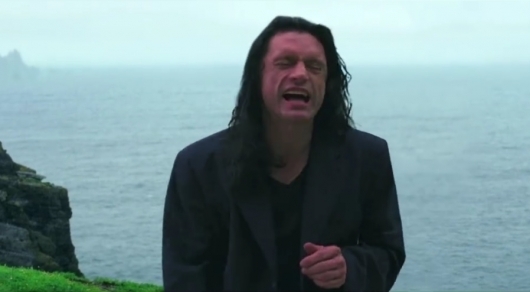 There’s been whispers that The Disaster Artist, a movie about the making of Tommy Wiseau‘s infamous movie The Room starring James Franco as Wiseau, could be a contender for the upcoming Academy Awards. And as any fan of Wiseau’s movie will tell you, a movie about that movie winning a damn Oscar, well, that would just be magnificent. But while we wait to see if the movie will score any nominations, A24 has gone ahead and created their own award. 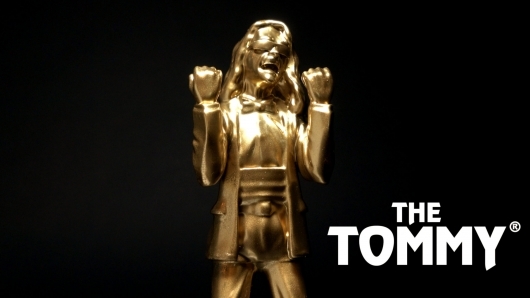 It’s called the Tommy Award, and you (yes, you!) can win it. All you have to do is re-create your favorite scene from The Room…in public…and share it online for the world to see. So I won’t be winning a Tommy Award, and that makes me sad. But you (yes, YOU!) still can. Continue below to find out how, and to check out the latest trailer for The Disaster Artist. We’re nearing a year and a half now since Star Wars: The Force Awakens was released. The first spinoff movie, Rogue One: A Star Wars Story has since come and gone, and Star Wars: The Last Jedi is on the way later this year. But that doesn’t mean the internet is going to stop coming up with little gems to entertain us. A meme has made its way around the ‘net in which the man, the myth, the legend himself, Tommy Wiseau, drops his “Oh, hai Mark” line from his infamous anti-classic The Room on Mark Hamill in The Force Awakens. Now someone has taken that meme a step further, by taking the clip of Wiseau out of The Room and superimposing him into the final scene of The Force Awakens. The result is, of course, perfect. You can check out the video below.